18th June 2017 – Many PACE athletes are putting the finishing touches to their respective preparations as trials time approaches and places at the 2017 IAAF World Championships in London are up for grabs. 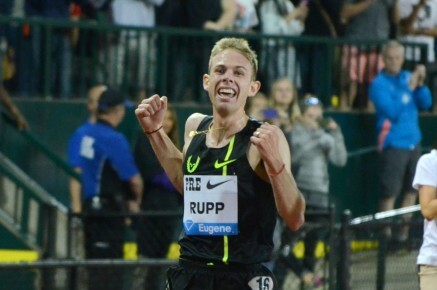 Some have chosen to do this via racing and Galen Rupp (USA) had the perfect combination of race and workout as he won the 5000m at the Stumptown Twilight in Oregon. A 55 second last 400m demonstrated that marathon training has not dampened his speed and he will be looking to add an incredible ninth straight US 10,000m title to his resume next week. Matthew Hudson-Smith (GBR) has one week longer to wait for his trials but he also showed he is rounding into shape at just the right time with a second place finish over 400m at the IAAF Diamond League in Oslo in a seasons best time of 45.16 seconds. Andrew Osagie (GBR) ran inside the World Championships qualifying time again and also ran a seasons best of 1:47.73 when finishing second over 800m at the meeting in Huelva, Spain. Kenyan, Jamaican and US trials all take place this week, with British trials a week later, after which places on national teams will be a lot clearer.